Expect China to become more assertive in pushing its alternative development model to other countries. With the Chinese Communist Party’s (CCP) 19th National Congress now over, General Secretary and “core leader” Xi Jinping has made clear his vision for China’s place in the world: one where China’s brand of socialism offers an alternative development model to that promoted by the West. 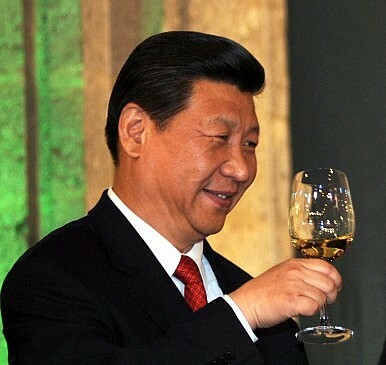 Xi’s report to the Congress made clear that China’s great power diplomacy aims to improve China’s global influence through the promotion of a “community with a shared future for mankind” (人类命运共同体) and a “new type of international relations.” Fortunately, Party commentaries help elucidate the theoretical component of the Party’s plan for greater influence over the developing world. For example, an English language Xinhua commentary published on the closing day of the Congress proclaimed that China will become the world’s largest economy, and that China’s “development miracle” is socialism, not other “-isms” (read capitalism). It further stated that China’s success proves that socialism is a path that other developing countries can emulate. Prominent Chinese language commentaries have also expressed this sentiment. A People’s Daily Foreign Edition commentary published on the opening day of the Congress touted China’s leading role in its “inclusive” One Belt One Road (OBOR) international development strategy, and also its role as an aid provider that extends “two warm and powerful hands” (温暖有力的双手) to underdeveloped Africa. It concluded that the CCP was already changing the world, in part due to walking its own path of socialism with Chinese characteristics and contributing “China wisdom and China plans” to solve humanity’s problems. On the final day of the 19th Party Congress, another prominent commentary in Party mouthpiece People’s Daily stated that China’s concepts, wisdom, plan, and opportunities receive worldwide attention, and that the China story offers a reference for other development-seeking nations to look to. The piece further stated that socialist ideology’s ongoing vitality is displayed by Chinese socialism, and quoted foreign dignitaries that lauded the CCP’s development model as applicable to the developing world. In summary, since the 19th Party Congress, it appears that the CCP rhetoric that traditionally promotes development rights now also advocates a Chinese-style political system, and more specifically Xi’s own governing theories. How Western governments can counter this message is difficult to say. In discussing the OBOR framework, Nadège Rolland of the National Bureau of Asian Research (NBR) notes that weaker autocratic nations are drawn to the CCP’s development-focused assistance, which comes without demands for good governance or human rights. The Party’s new emphasis on socialism’s applicability to other developing states seems to take this further, specifically prescribing loosely defined “socialism” as an alternative authoritarian model to guide indigenous development. How this message will be received remains to be seen, but in an era where Washington puts “America first,” Xi’s own new era of selling socialist ideology seems more likely to gain ground. David Gitter is the director of the Party Watch Initiative, a program of the Project 2049 Institute that analyzes the writings and activities of the Chinese Communist Party (CCP). China will become a more proactive international player under Xi’s leadership. Is There Really a ‘China Model’?Amid Tensions With US, China Holds An Unusually High-Level Meeting on DiplomacyChina in 2018: What to Expect'A Community of Shared Future': One Short Phrase for UN, One Big Victory for China?What Did the CCP Party Congress Mean for China's Diplomats?